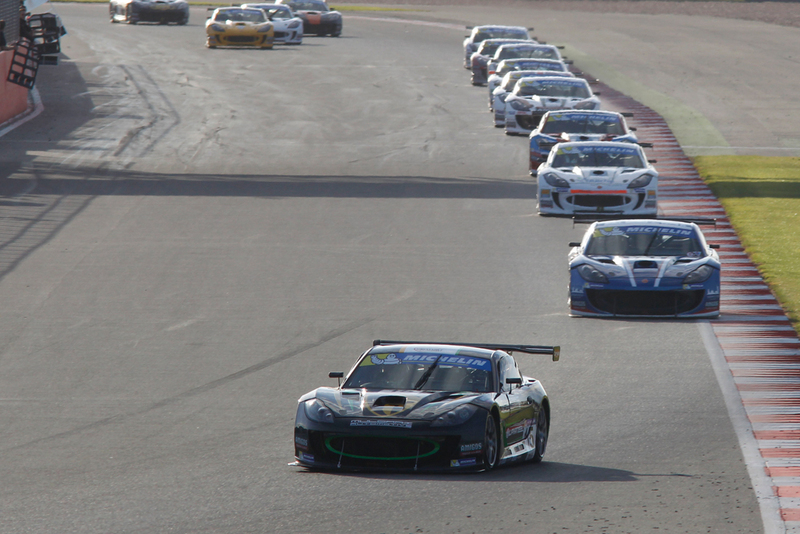 Century Motorsport remain in the lead of the 2015 Michelin Ginetta GT4 Supercup Drivers and Teams Championships heading into the Brands Hatch GP season finale in two weeks’ time following another successful weekend of racing at Silverstone. A pair of podium finishes for Tom Oliphant saw him extend his lead at the top of the Pro standings, while Osamu Kawashima remains in AM class contention with a best finish of fourth, as a top seven double for Ollie Jackson helped the team keep a 17 points advantage in the Teams standings. Oliphant headed to the ‘Home of British Motorsport’ keen to return to the top step of the podium, but the weekend didn’t start to plan in Friday practice. Hard work from the team overnight paid dividends in qualifying though. A storming 58.237s lap around the National circuit gave him a front row start for the opening race, with him missing out on a record-equalling fifth consecutive pole position by just four thousandths of a second. It didn’t matter once the race action began though, with a storming getaway seeing Oliphant take a lead he would go on to hold throughout for a brilliant eighth victory of the campaign with a new lap record as well – a result that gave him pole position for race two. The final encounter would be a tougher affair however as he raced against drivers with the benefit of newer tyres, with a battling performance producing a third place finish for his fifteenth consecutive podium result, a finish that extends his points lead to 49 points on dropped scores. 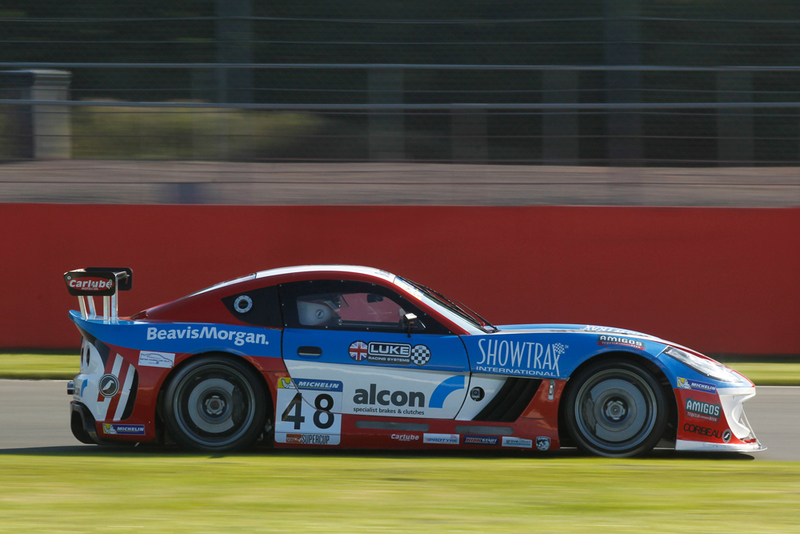 Fresh from a pair of fourth place finishes last time out at Rockingham, Ollie Jackson was looking to battle for the podium positions across the weekend meanwhile, however a tricky qualifying session put him seventh on the grid for race one. This provided Jackson the chance to showcase his racecraft once again though, with some great moves during a busy first few laps moving him up to fourth place. His attention then turned from attacking to defending, holding off Jordan Stilp on fresher rubber for many laps before finishing up fifth. After slipping to seventh on the opening lap of race two, Jackson produced a strong fightback as he passed Reece Somerfield on the next lap before expertly dispatching former race-winner Stefan Hodgetts for fifth into Copse corner. With tyre wear a real issue in the closing stages he eventually slipped back to seventh at the finish, but another strong weekend in the championship has closed him right up in the battle for the top six in the standings. Osamu Kawashima meanwhile had a mixed weekend as he took on the most experienced entry in the AM class so far this season. Improving his pace throughout free practice, the Japanese racer was unlucky to only qualify seventh in class when he lost some laps due to track limit infringements. 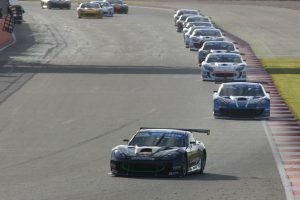 The pace was shown in the opening race though as he climbed up to fifth at the start before starting a fantastic race-long duel with Fraser Robertson, the duo running nose-to-tail and switching places multiple times before he emerged in front to take fourth. 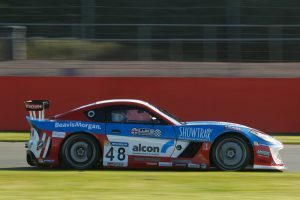 Kawashima ran fifth in class in the early stages of race two, but as the race progressed he eventually slipped back to seventh position, though another solid points haul from that result means he remains in class title contention heading into the championship finale in two weeks’ time (10/11 October) at Brands Hatch GP.